Qualify for the NYC marathon. I run because I noticed that the more I run, the happier I am. Running a sub 3 hour race and qualifying for the Boston Marathon. It was at my “home race” and lots of friends and family were there. It was one of the best days of my life. 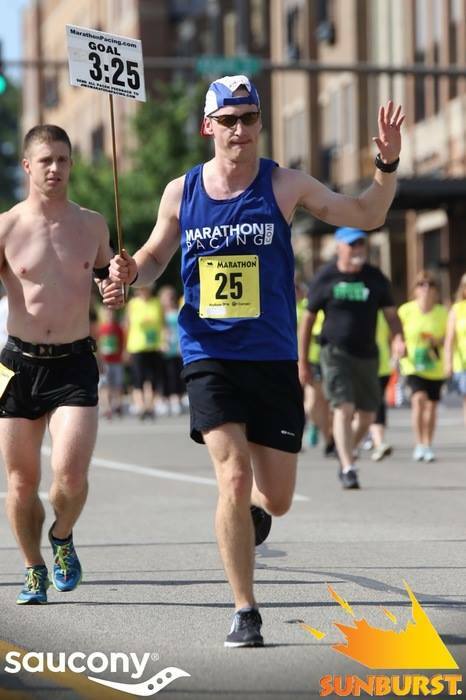 I sincerely enjoy helping people in almost any capacity and I love to run marathons – I get to do both as a pacer. 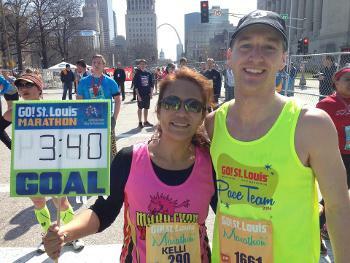 My first marathon pacing experience in St. Louis will always be special to me. In another pacing experience, a girl running with the group stopped and puked at mile 25. She came back and passed me in the 26th mile to qualify for Boston. I am one of your biggest fans and most consistent cheerleader on race day. There is nothing I want more than to see you reach your goal. I talk (and sing) a lot while I run. If you’re winded, don’t worry you don’t have to respond – I won’t be offended. My dog’s name is Walter. He is a sleeper, not a runner.